SoaringUSA is proud to offer a full range of gliders for nearly all forms of glider flying, including handlaunch, thermal duration, F3B, F3J, F3F, slope, and Dynamic Soaring! Ascot is a great multi-task sailplane. It can compete in F3F or F3B equally effectively. Totally awesome 5-meter ASG-29E with SLS. Highest quality. The attention to scale details is world class, but she also retains the world champion flight characteristics. 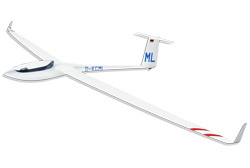 2-Meter model that is best suited for slope flying and aerotow. Due to its high aspect ratio, the ASW-28 will cover a lot of ground. Very aerobatic! This is a top quality 5-meter model, designed to look great, and impress with its sheer size. The detail and fabrication are world class scale competition quality. Aerotow is a dream, but you'll need a pretty good tug. If you are looking for a budget-friendly 3-meter scale ship with no compromises, this is the one. The attention to detail is second to none, a work of art! 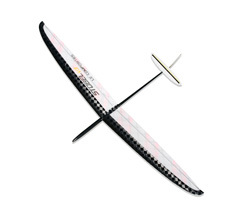 Competition worthy sailplane with optimised Dirk Pflug airfoil. Goes fast and retains energy in turns. Tolerates heavy ballast. Thermals very well. F3B competition sailplane that features wing construction techniques which emphasize stiffness and significant weight reduction using a new and very thin Dirk Pflug airfoil! This is a well-made 2-meter T-tail sloper, or E-power model, at a great price! 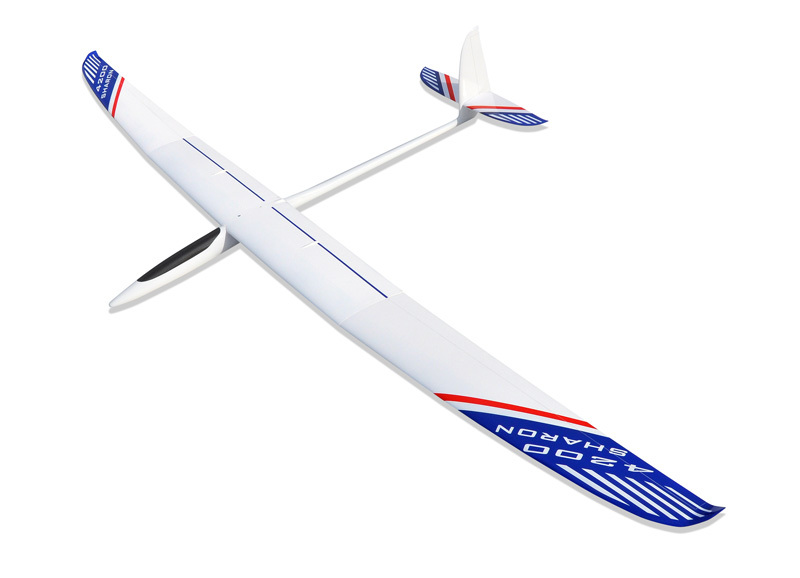 One of our hottest selling models, it's fast enough for F3F slope racing, light enough for inland slopes, and strong enough for dynamic soaring! High Performance F3F sailplane! Lightweight, strong and clean German design! F3B Eurotour winner. Engineering and mold work second to none! It is fast and turns hard. Capable of flying in very light air, yet very fast! Ceres F3F is fast, and turns hard! Hundreds of hours of R&D work have produced one of the finest, world class planes available! The successor to the Ceres and Ceres Lift. New Dirk Pflug airfoil obtains the best launch possible yet still retains the slippery characteristics needed for speed. Features a new layup specifically designed for F3F, including stronger CF skins to handle the added stress of hard F3F turns, and the brutal LZs we see on the slopes. Diana 2 - Standard or GPS Sport, you choose! 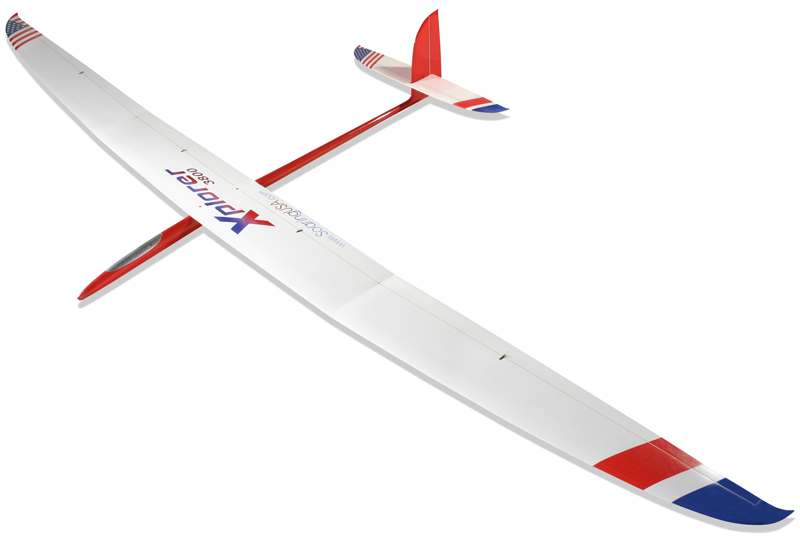 An aerobatic, 4-meter, all-molded, sailplane in 1:3.75 scale. The wing comes standard with winglets, Schempp-Hirth air brakes, air tow release mechanism, and retractable landing gear. Hunt for thermals afar off and be confident you'll make it back upwind! Full throttle winch launches. Flaps for precision landings! For almost any intermediate or expert pilot. Aero towing is a dream, and once off the line has the wings to stay up all day long. But don't be surprised if you find yourself doing speed runs and aerobatics! Excels in any form of thermal duration competition! Ballast up for better penetration in wind! Ailerons, flaps and 3 dihedral breaks to help you get your time and make that perfect landing! Excels in any form of thermal duration competition! Ballast up for better penetration in wind! Rudder, elevator and spoilers plus 3 dihedral breaks help you get your time and make that perfect landing! BIG 4-meter span Eagle! A real floater that can "book" when required! A thermal duration master! Rudder, elevator, ailerons and flaps, plus 3 dihedral breaks help you get your time and make that perfect landing! BIG 4-meter span Eagle! A real floater that can "book" when required! A thermal duration master! Rudder, elevator, spoilers, plus 3 dihedral breaks help you get your time and make that perfect landing! The Egida is a culmination of all the successful attributes of previous designs. It is a truly competitive model that leaves its competition behind. Utilizes an ingenious flap and aileron system moving the servos directly into the root of the wing for incredibly quick turns. Top notch, purpose built F3F/F3B machine! Has "legs" for distance and low wing loading for working lift. Likes to fly fast, but drooping the trailing edge slows her down to work thermals! Has "big plane" handling. Espresso 2M is full of carbon, very stiff, and is very fast with the HD 45 airfoil. BIG 4-meter F3J model that employs the latest advances in aerodynamic design, CNC molds, and carbon tow construction. You may never "outgrow" this one! Video A 3-meter, 1/5 scale model that is great looking and very strong. 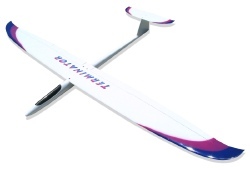 A great aerobatic scale glider and a fantastic value This model will do great on the slopes, or with aerotow! Fosa: The successor to the Cyril, Ceres and Ceres Lift. High aspect ratio wing (18.8:1) with strength and stiffness! High aspect ratio wing (18.8:1) with strength and stiffness! Lighter wing loading for best rate of climb! This is a larger 4.4-meter version of the Fox 3.0 above and it, too, is an awesome value and an awesome flier! The fit and finish of this model are superb. The Freestyler 5 is a versatile F3F or F3B competitor! 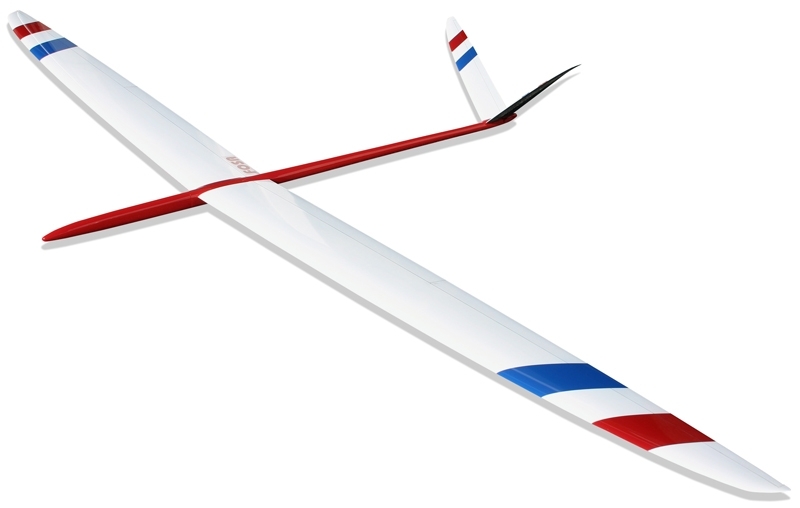 It's a sailplane with fantastic straightaway speed and awesome "snap-flap" turning ability. Our FS-5s include all the add ons: wing bags, ballast, wiring harness and LDS for MKS 6130! Highly competitive F3J model with outstanding launch and flight characteristics, and thermal abilities. Made with high-strength CFRP materials. Very robust. Suitable for everyday use. A timeless classic sailplane at 3.83-meters wingspan! And this model is a breeze to fly! You will be surprised at how well it penetrates, even without ballast. Features a wide speed envelope and flaps to aid in landings. Merlin incorporates high performance and quality in an affordable package. Superb handling and resistance to stall.